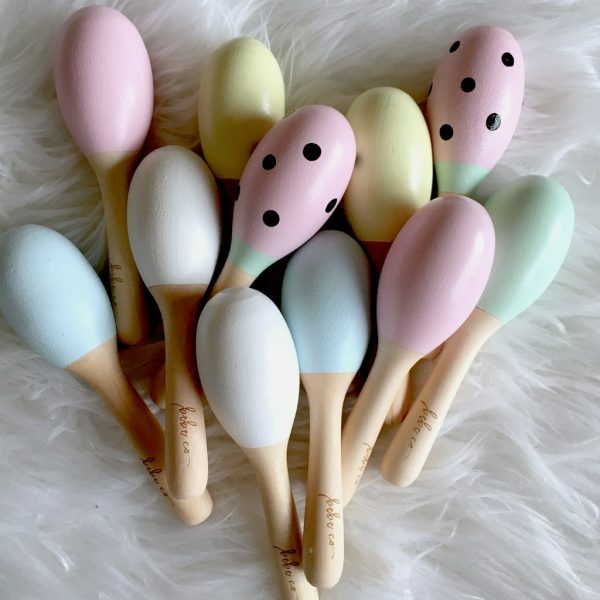 Bebe Co. Australia’s maracas make the sweetest wooden musical instrument for your babes. They can also be used as decor for a nursery, children’s bedroom or playroom. Each individual maraca is sanded and dipped in a non toxic water based paint, making it safe for babies to use as an instrument. Measuring approx. 12cm in length and 3cm in diameter. 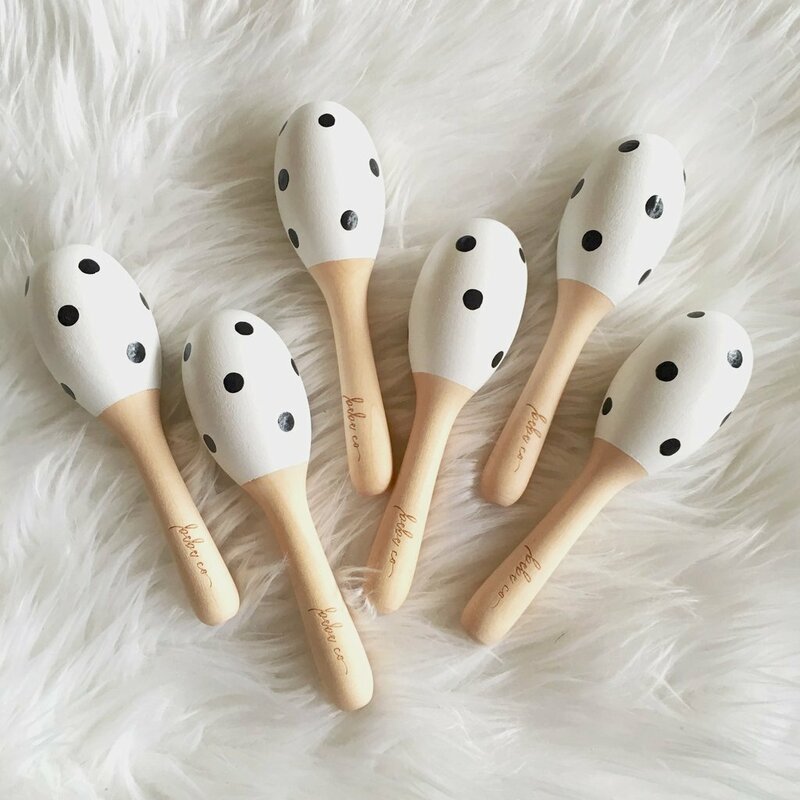 Maracas come in a set of two. Please advise in comments at checkout your preference of colour / pattern as per picture (white & metallic gold polka dots are also now available). Best suited for babies 6 months+ and only to be used with parental supervision. WARNING: maracas are not a teething toy and should not be bitten or used for teething.